The ideal product to beautify your hands and nails. 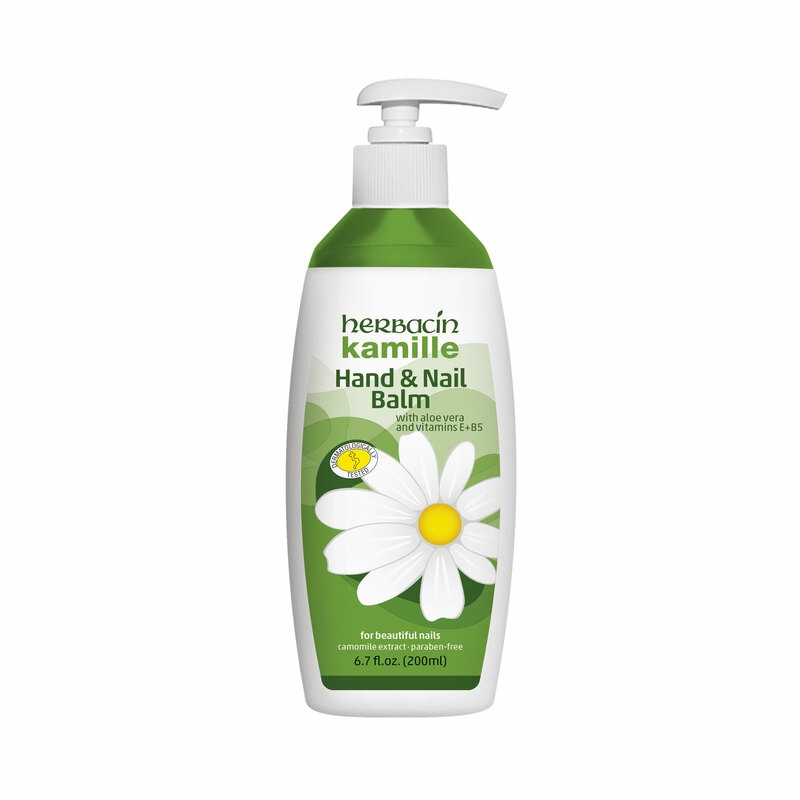 Herbacin kamille Hand and Nail Balm with camomile extract, aloe vera and vitamin complex is suitable for all skin types. This highly effective balm is the ideal combination of our Herbacin kamille hand and body lotion. Rapidly absorbed, it strengthens skin, nails and nail bed in a delightfully gentle way. In a convenient dispenser for the nail salon or home use, it is the ideal product to beautify your nails.